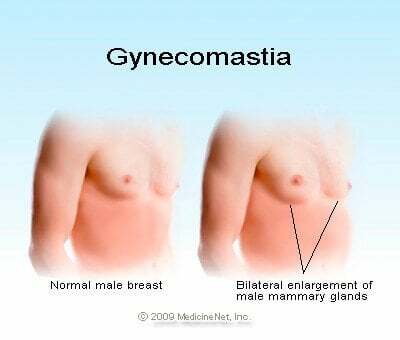 Gynecomastia: Excessive development of the male breasts. Temporary enlargement of the breasts is not unusual or abnormal in boys during adolescence or during recovery from malnutrition. Gynecomastia may be abnormal as, for example, in Klinefelter's syndrome. How Do You Know if It's Endometriosis?